Rhody Ramble: Family Adventures in Rhode Island! 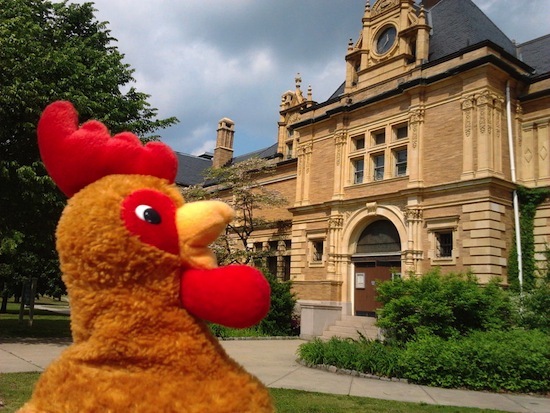 The Rhody Ramble is a passport to history to help kids and families explore Rhode Island’s unique historic places with programming created especially for them! From waterfront mansions to working farms, the Rhody Ramble offers many different ways for visitors to experience early life in Rhode Island. A full calendar of events includes outdoor festivals, music concerts, scavenger hunts and hands-on activities. Created as a guide both for local families and visitors, the Rhody Ramble helps kids to connect with Rhode Island’s history and discover its hidden treasures. The Rhody Ramble includes 18 member organizations of the Historic Sites Coalition of Rhode Island (HSCRI), a network of historic places open to the public. Founded in 2007, the HSCRI brings together stewards of historic sites to share resources, exchange ideas and promote Rhode Island’s unique places. The HSCRI is a program of Preserve Rhode Island, a statewide preservation advocacy organization. 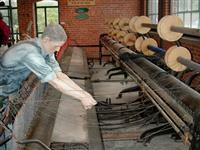 The Museum of Work & Culture, a Division of the Rhode Island Historical Society, tells the stories of the men, women, and children who came to the Blackstone River Valley to find work in the late 19th century and early 20th century. The exhibits focus on the farm-to-factory experience of French-Canadians who came to Woonsocket to tell the larger story of American immigration. A special exhibit, The Ghost Army, tells the story of American G.I.s who duped Hitler’s army with rubber tanks, sound effects and illusion during WWII. Admission: $8 Adults, $6 Seniors/Students, Free for Children under 10. There is a $1 discount off adult admission for AAA members. Free Parking. Questions? Call 401-769-WORK (9675) or 401-331-8575. Visit the Old Washington County Jail in Kingston, RI and tour period jail cells re-constructed in 1858 to replace the site’s first jail of 1792. 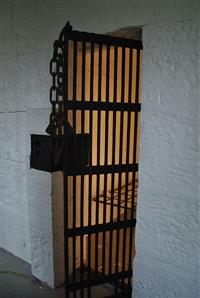 Learn about the crimes and punishments of some of the area’s notorious characters! The museum also offers exhibits on RI plantation history, Washington County during the Revolutionary and Civil Wars, and regional exhibits of early schools, toys, and textiles of the 19th and early 20th centuries. Recommended for children 8-12. Suggested donation: $5 Adults, $3 Children. Questions? Call 401-783-1328. The Museum of Natural History is Rhode Island’s only natural history museum and is home to the state’s only public planetarium. The natural history collections include fossils, mollusks, minerals, rocks, mounted flora and fauna. The cultural collections contains over 25,000 archaeological and ethnographic specimens primarily of African, Native American and Pacific origin. Last admission to the museum is at 3:30 pm. Planetarium & Museum Admission: $3 (No one under age 4 is permitted in the planetarium.) Shows on weekends at 2:00 pm. The family tour allows youngsters and parents to imagine themselves personally witnessing the history made in this great Gilded Age chateau. As the house shares its secrets, you hear from family members and staff, as well as fanciful creatures like the friendly dolphin hiding under the grand staircase, the lions of the Music Room and the dragons in the Dining Room. Experience a summer day in the life of one of the Vanderbilt children. Learn about the masters of the kitchen – Monsieur Le Chef and his colleague, The Butler. Take an imaginary slide down the grand stairs on a silver serving tray. 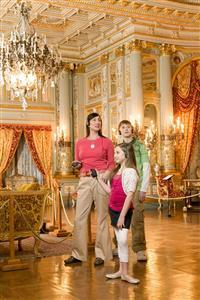 Learn all the “rules” the children had to live by at The Breakers. The tour is designed for children aged 6-11, but is fun for the whole family! Admission: Adult: $19.50, Youth: $5.50 (ages 6-17), Free for children under 6. 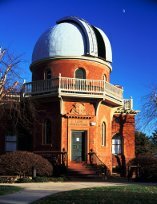 View the moon, stars and planets through the antique telescope at Brown University’s historic observatory. Ladd Observatory opened in 1891 and is on the National Register of Historic Places. Visit and learn about the past, present and future of astronomy. Open every Tuesday after twilight. Admission: FREE! Questions? Call 401-863-2323. For more family activities, visit Rhody Ramble’s Facebook page, check out their tweets @RhodyRamble, stop by their blog, or register for free to join the Rhody Ramble to receive monthly updates about family events throughout Rhode Island.